If you are a Sprint HTC Hero user then you might know the drama over official Android 2.1 update for HTC Hero, not just one time but more than four times the Hero Android 2.1 update dates has been postponed. Though there is one test Android 2.1 Build already leaked and floating on internet. Now here is new reports coming out about another Android 2.1 leak for Sprint HTC HERO and seems it could be the final version which sprint is supposed to provide as OTA update. Though it cannot be confirmed at the moment this leaked Android 2.1 build is named RUU_Hero_C_Sprint_2.27.651.5_R_signed_release means this one is signed with release keys so you will lose your root if you attempt to update on your HTC Hero. But if you are desperate and brave enough to try on your HTC Hero then use below link to download leaked Android 2.1 for HTC Hero. 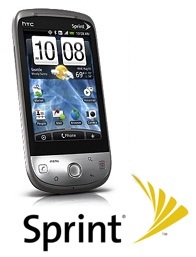 Download Leaked Sprint Android 2.1 for HTC Hero. The update works fantastically! Thanks! Even if they never release an update “officially”, that’s okay. This is what I have been waiting since November for. Does anyone know if this Sprint version works on the original Hero? I live in the UK and want to update but not if it won’t work with my carrier (not that I can think why it would).